Lynn has had over 20 years experience both in the hospital setting and in private practice. Lynn is experienced both as a pathology collector and also manages complex wound dressings. She has been with us since 2013. Her main areas of interests are in the promoting and maintenance of independent living for patients. She does this via Health Assessments for the over 75 years and Care Plans for the chronically ill patients. Cherly has been with Westmed since 2010. She has had 45 years experience in GP both as an Office Manager and a Medical Receptionist. She is in charge of training for new staff. Cheryl is a great communicator who enjoys the daily challenges of working with interesting patients. 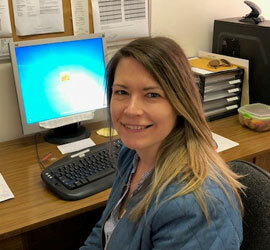 Teriza who has only recently joined the staff at Westmed, has over 15 years experience as a Medical Receptionist. 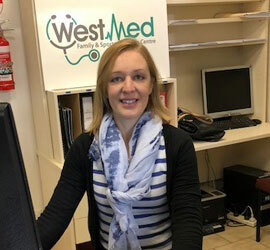 She has previously worked in the Radiology Department at Epworth hospital, as a Ward Clerk in Day Surgery at the Royal Children’s Hospital as well as a Medical Receptionist at a number of general practices. Anna has worked for 5 years as a medical receptionist. Prior to that, she worked for a large accounting firm as an administrative assistant. 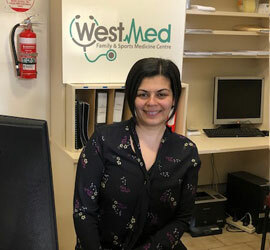 Anna enjoys working at Westmed . She enjoys interacting with people and helping people from all walks of life and various backgrounds, that attend this clinic. Claire has spent 16 years in various Finance and Sales Manager roles within the Corporate world. The arrival of Claire’s three children forced a need to have balance in her life. In 2013 she launched her Bookkeeping business and today works with a wide range of clients including architects, property developers, energy consultants, advertising and Health services. 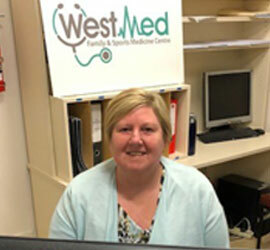 Claire has been with Westmed since 2016 and enjoys the team environment and interaction with patients and staff.